Plan the route you want to take beforehand or follow the suggested itineraries. 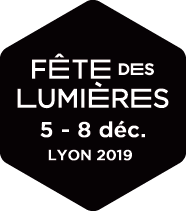 Use the Fête des Lumières app to stroll in the city. Take your camera or smartphone and make sure the batteries are fully charged! Dress for all weathers with warm and comfy clothes: padded jacket, woolly hat, scarf and gloves and walking shoes. It's a good idea to travel on public transport. The metro, tram and certain bus lines run more frequently and later than usual. If you are feeling energetic, you can put your comfy shoes on and walk into the city centre. There are entry points to the Festival of Lights perimeter every 100 m. Pedestrians can exit the area freely. Refer to the map for help. Ask at one of the four information points (wooden kiosks) if you need help or advice. They also sell Lumignons du Coeur candles for charity (the Docteur CLOWN association). Baby buggies are impractical and bicycles are not allowed inside the Festival of Lights perimeter. Now, you are ready to go. Have fun!